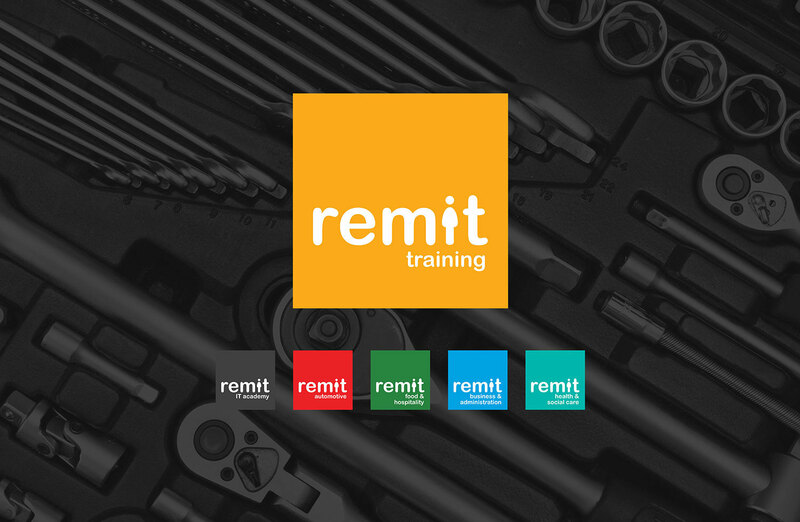 Remit Training are one of the UK’s largest Apprenticeship training providers, offering training support across a wide range of subject areas from automotive through to health and social care. Remit are committed to being the training provider of choice and are dedicated to supporting learner needs. Remit are passionate about developing employer advocacy of Apprenticeship training and pushing the boundaries of quality and efficiency training delivery. Remit wanted to refresh their brand and change their audience direction from consumer to business to business and approached us to help them achieve this. We worked with Remit to update their brand, design a new website and produce printed literature more suited to their new business ambitions. Remit had been using a logo that was very simple and reflective of their business but was not professional in appearance and didn’t compliment the new direction that the business was undertaking. We worked closely with the Remit marketing team to produce a solution that made the logo more functional and suitable for a business-to-business strategy, without loosing it’s focus on people and approachability. We developed the brand to expand into the different areas of training they offer and created a complementary logo set to accompany they overarching brand. Using these identities and colour keys made understanding Remit’s full service offering much easier for their clients. 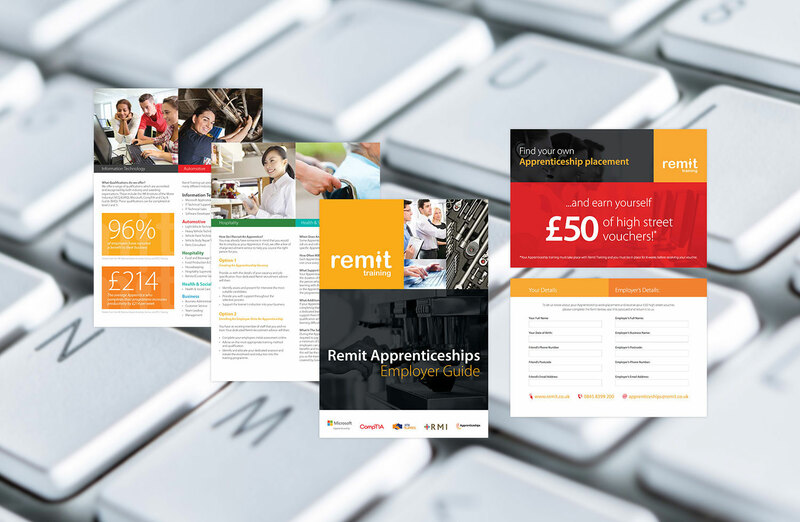 Once we had established a clear brand identity, we went on to design and build a brand new website for Remit, with the focus being on the employer benefits of hiring an Apprentice. The website is not only a source of information both the employer and the Apprentice but also houses an online vacancies feed and application form so that positions can be applied for online. The website holds a vast amount if copy and content, so it was vital that we created a design that made it easy to digest and access the information. Testimonials and case studies teamed with a focus on strong call to actions ensure that the website is the perfect tool for harvesting conversions. To accompany all of the new branding work we had accomplished, Remit commissioned us to create a series of printed documents both for employers and learners across the 5 areas of their training business. These vary from 6 to 4 page documents, marketing feedback postcards and posters, each in the house style and distinguished via their training sector identity.